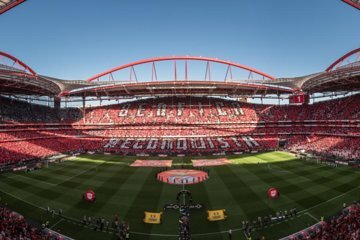 Visit the biggest stadium in Portugal, Benfica, on this 2-hour tour. Step inside the 65,000-seat stadium where the 2014 Champions League final was held and visit its locker rooms, press boxes, and even walk on the lawn. After the tour, head to the museum to learn more about the Benfica team and stadium with over 20,000 documents, images, and relics.